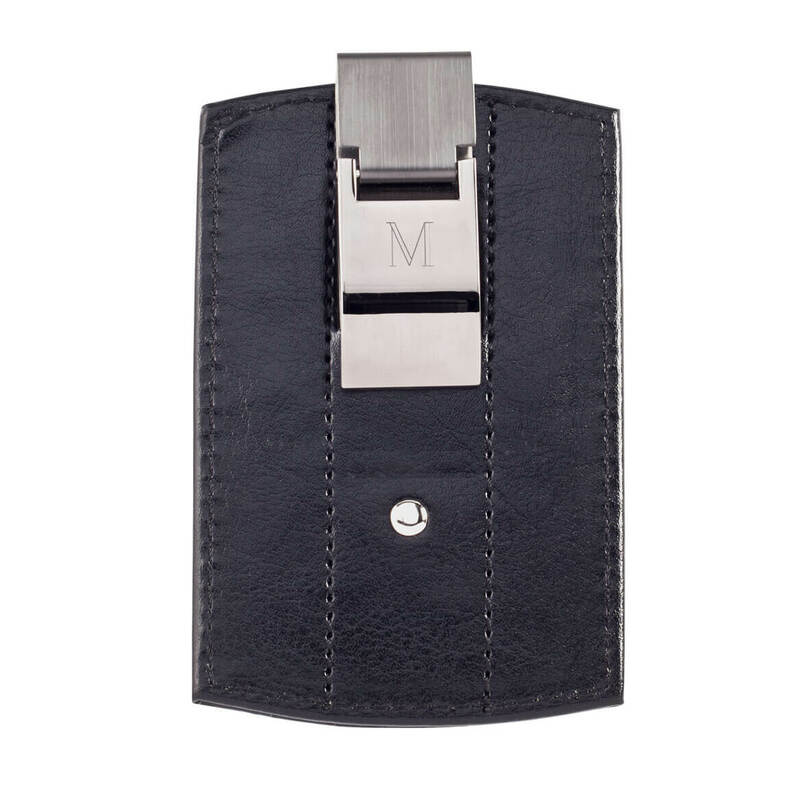 Monogrammed RFID leather wallet is an elegant way to protect your personal finances. 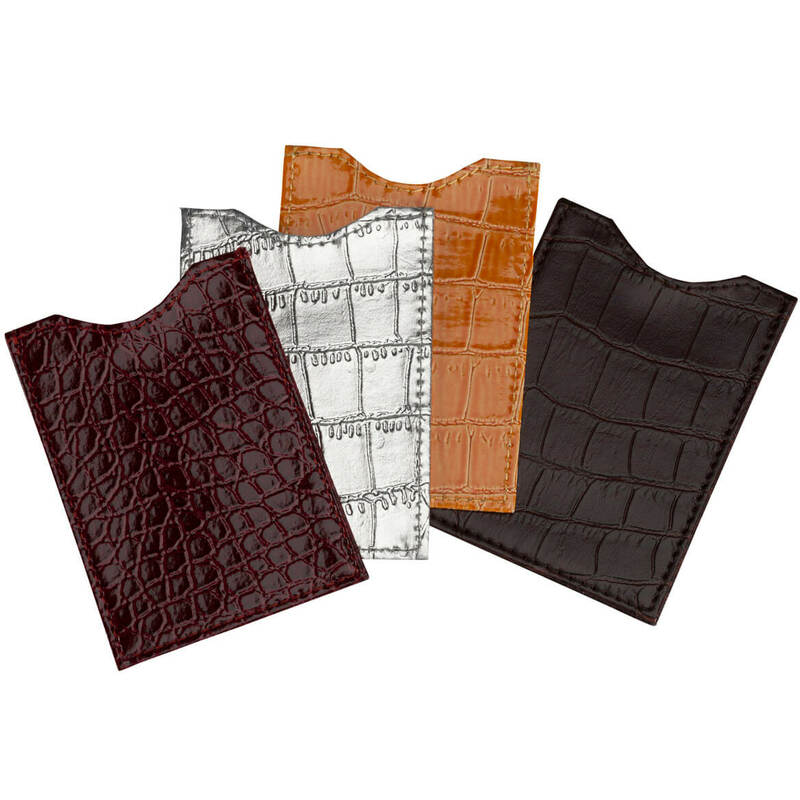 Sleek, bonded leather design zips closed for extra security. 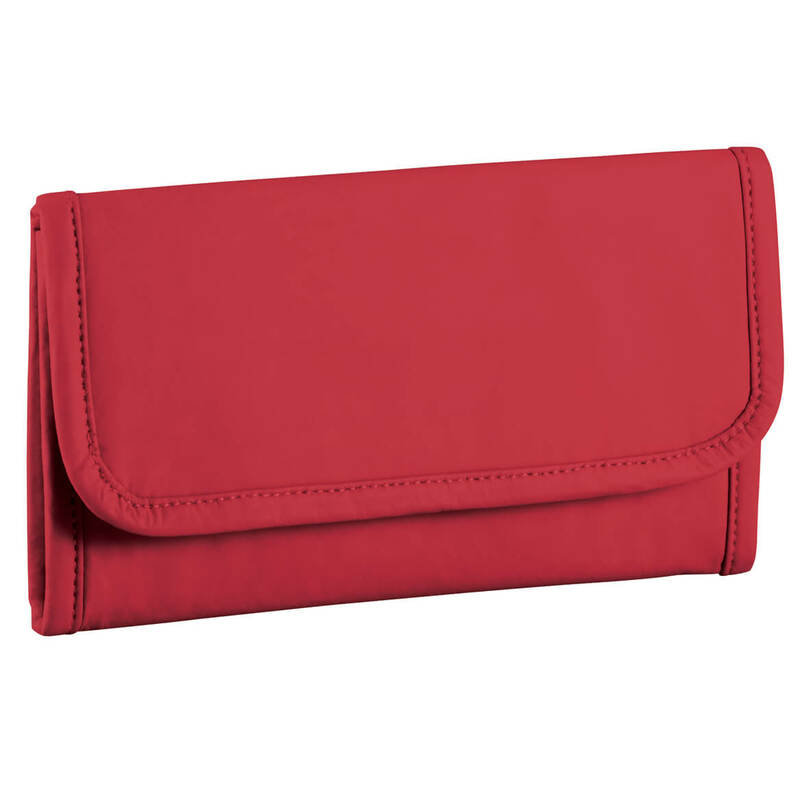 Spacious interior features an RFID dot lining to protect your data, 9 card slots, 2 bill compartments and a zip pocket. 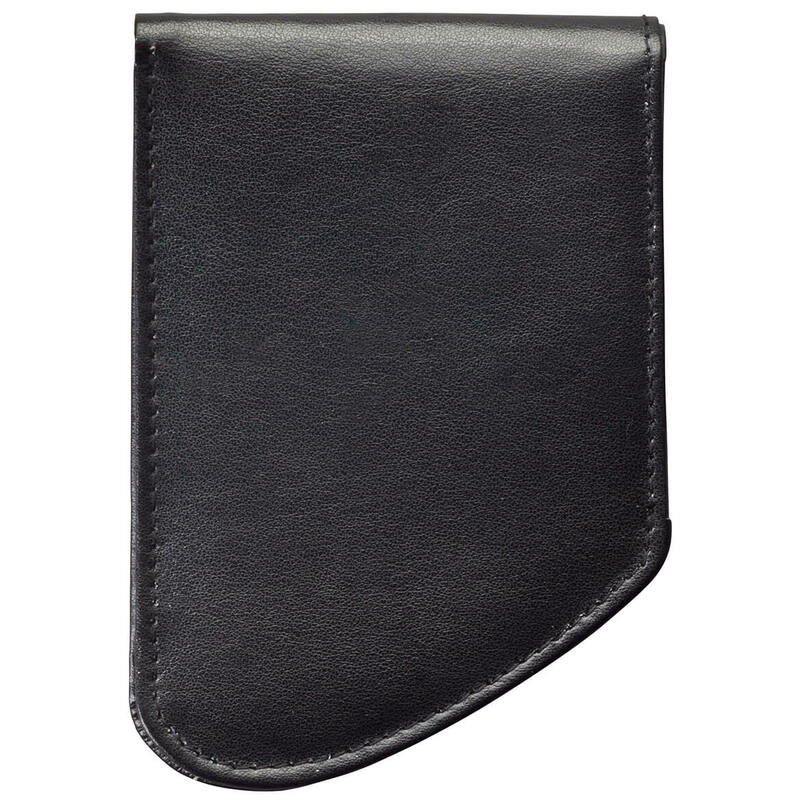 A beautiful gift for men or women, this security wallet is available in black or brown. Personalize with a block monogram up to 3 letters — specify initials in order of first/middle/last and we’ll arrange for you. 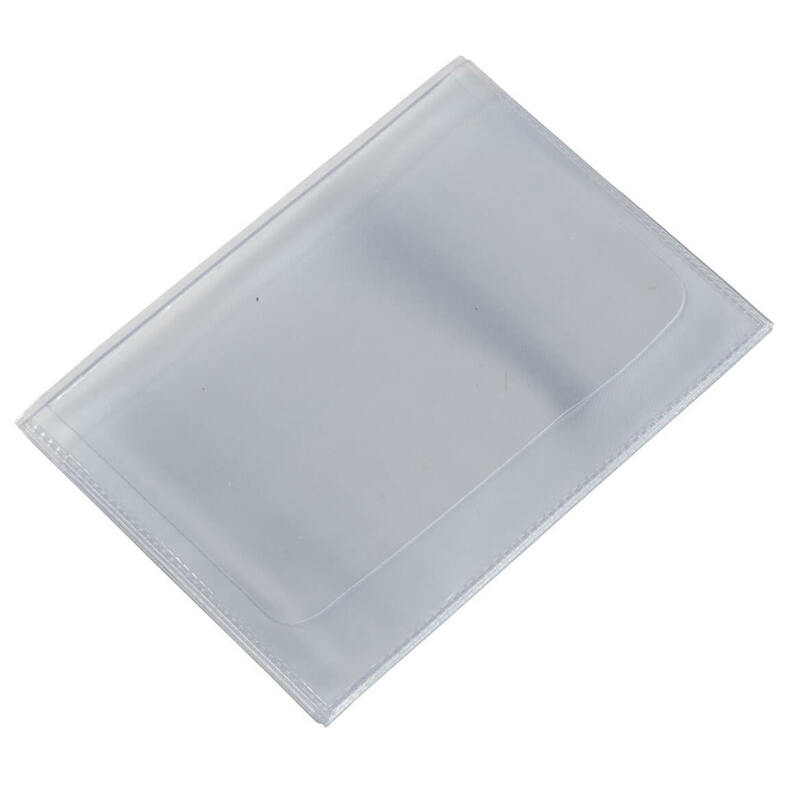 RFID wallet measures 5 1/4″ long x 4″ wide. Bonded leather/PVC. RFID front pocket wallet protects cash AND your identity. This slim leather RFID pocket wallet fits safely in front pocket, while radio-frequency identification (RFID) blocker shields sensitive credit card information from potential hackers. Features 4 credit card slots and I.D. slot. 10 1/2″ long ; 5 1/4″ long x 3 1/2″ when closed. 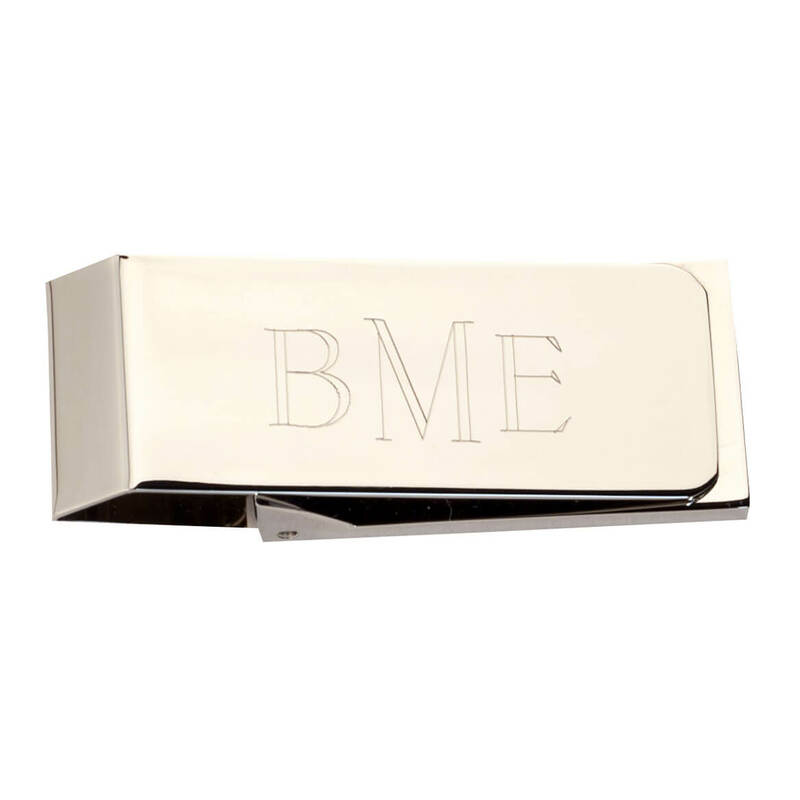 A traditional spring money clip, personalized with his initials. The classic lines and all-metal design of this money clip makes it a timeless choice. 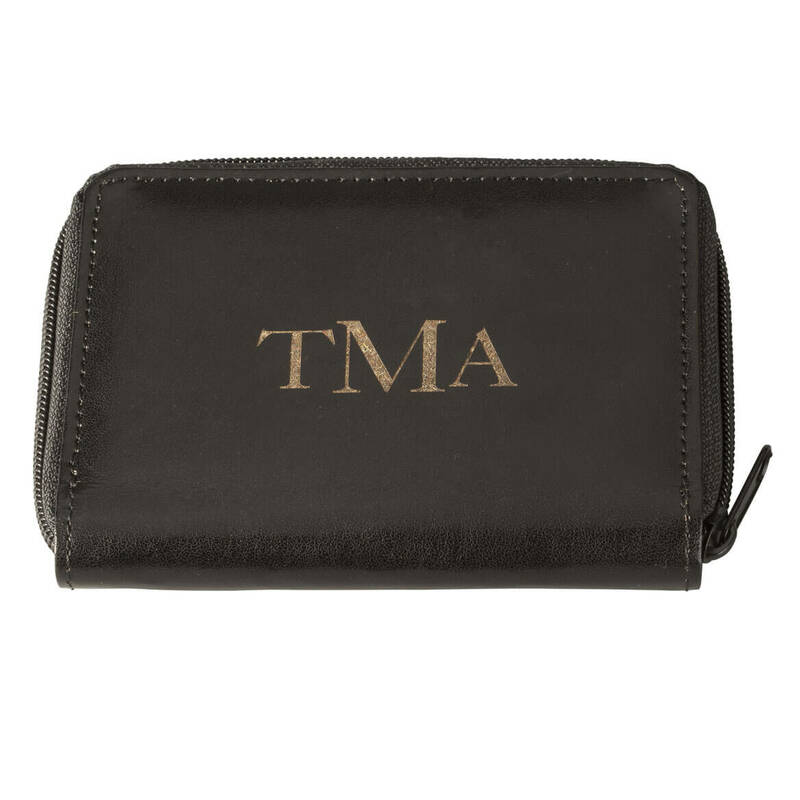 Personalized with a monogram, it makes a fabulous gift idea. Specify up to 3 initials. Measures 2 1/4” wide by 7/8” long. Please allow an additional 2 to 3 days for personalized items. Keep your finances fresh with this machine washable wallet! Whether carried alone or in your handbag or tote, the sleek, polyester women’s wallet keeps your essentials organized and cleans like a dream. 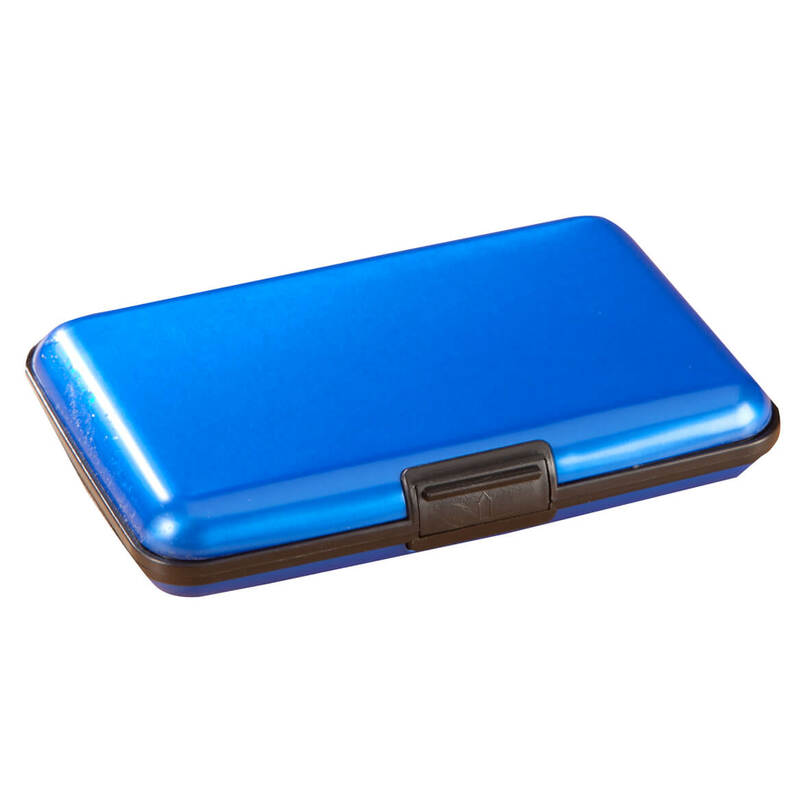 Features 8 card slots, 2 bill compartments, secure key fob and hook-and-loop closure. Specify color: red, tan or black. 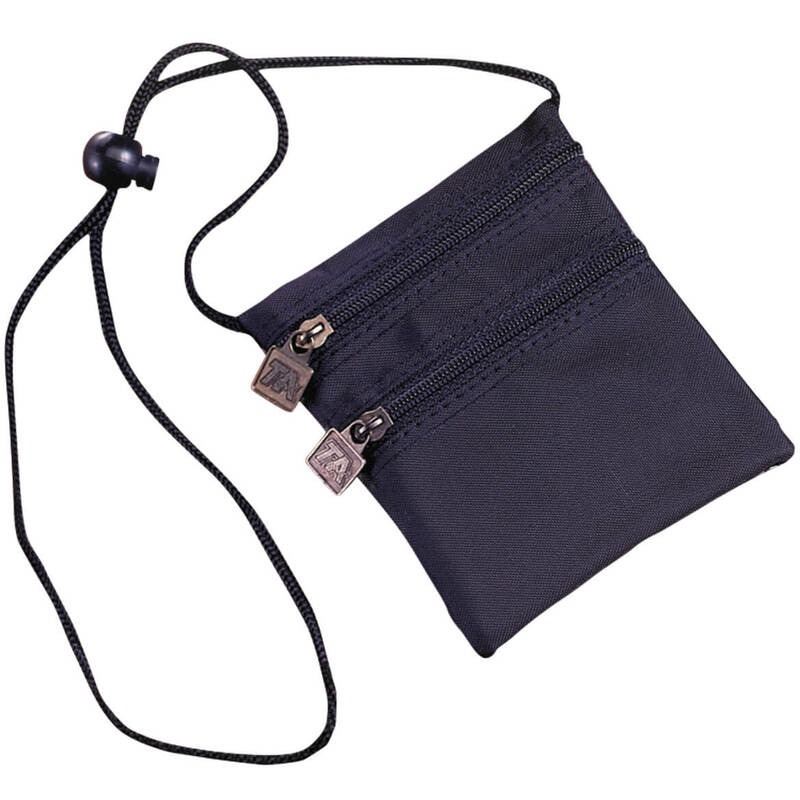 Handbag wallet measures 8″ long x 4 1/2″ wide closed, 8″ long x 12 1/4″ wide open. Machine wash cold, gentle cycle; tumble dry cool. 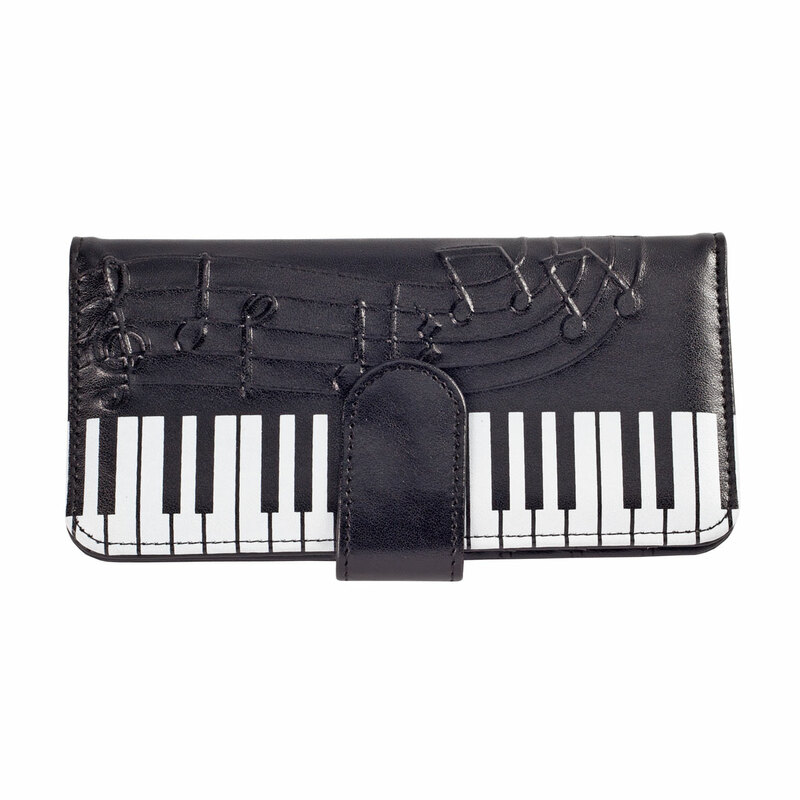 Whether harmonizing with your handbags or going solo in style, our exclusive piano wallet shows the world you love music! With its embossed musical notes and printed piano keys, it’s perfect for any music lover or teacher. Unsnap the slim wallet to reveal nine card slots and four bill compartments ideal for organizing your essentials on the go. Snap wallet measures 7 1/2” long x 3 3/4” wide. 50% leather/45% polyester/5% PVC. Wipe clean.